Rain, rain…it seems all it’s been doing is raining. As I’m writing this post, it’s raining. 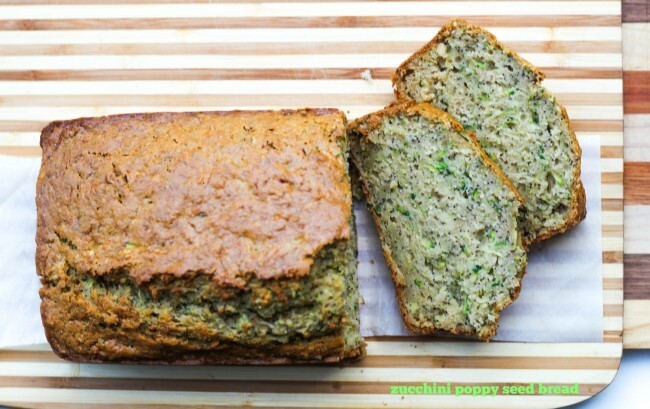 When I made this zucchini poppy seed bread, it was raining. I’m not going to lie and say we haven’t had our share of gorgeous end of summer days. There have been plenty of those. And high humidity and scorching hot sun. But back to this quick bread. What is it with me and quick breads these days. I just shared the apple banana quick bread, that we absolutely loved! 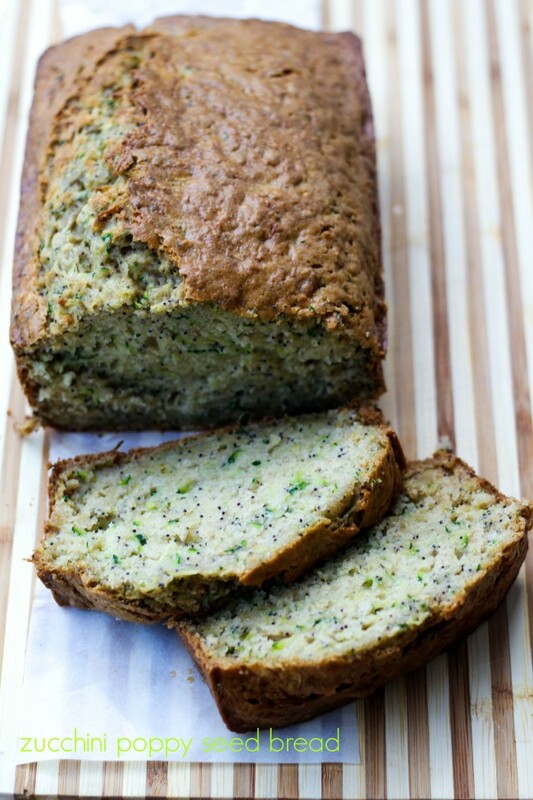 And then I had to make something else super quick and was remembering I hadn’t made this zucchini bread in ages! Literally, years. I took this photo on Sunday. There was a wicket storm brewing north and south of us and there even was some lighting. It was definitely time to get out of the water when I saw the first lightning. 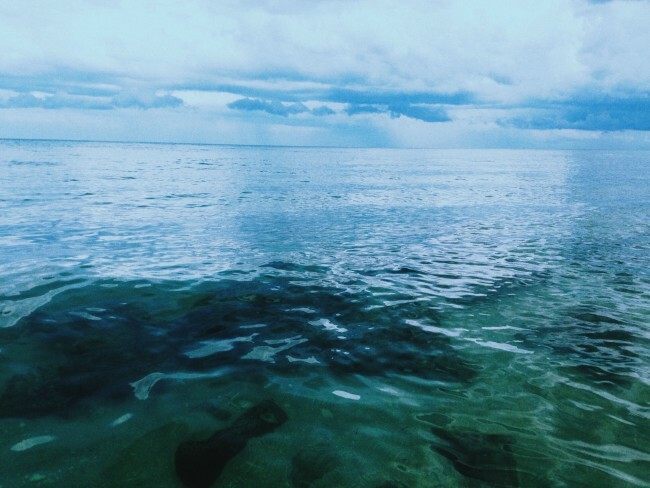 But the water was so calm and gorgeous, and the clouds were moving so fast and changing to all these different shades of gray, blue and lavender. Maybe because my kids prefer their favorite banana bread. With chocolate chips, of course! I don’t know about you and where you live, but I have been finding the most amazing zucchini at my favorite fruit and veggie market (the green market hasn’t opened yet, it’s still too hot here!). I wish I could say they were growing like wild fire in my back yard, but sadly, that is not the case! At in my in-laws garden in Italy, that is always the case. Serious abundance of zucchini and zucchini flowers. My mother-in-law makes her famous zucchini fritters almost every day and something else that is really fabulous with their zucchini. I’m not sure what she would think of this quick bread. I’m sure she would ask me why I didn’t make a savory tart or her fritters. This is the basic formula for quick breads that I usually use. I most often throw in a little ground flax seed (like 2 tablespoons). If you have ground chia seeds, that’s also nice to add in. My kids don’t notice that’s it’s added in and it makes the bread a little better for you. I also like to add whole wheat flour. You could add as much or as little spice that you like. I added a little cinnamon and ginger. When you grate the zucchini, you have to squeeze it together and get out all that water. I usually use my hands and do it over the colander. If you happen to have a cheesecloth, that’s perfect to use. Grate the zucchini with a box grater. Gather up the grated zucchini in a cheesecloth (or with your hands)and squeeze it together over a colander. Mix the egg with the sugar and oil. Stir in the grated zucchini. In a separate bowl, whisk together the flour, sea salt (regular salt is fine too), baking soda, baking powder, spices and poppy seeds. Add the dry ingredients to the zucchini mixture. Bake at 350 F for 30 minutes and lower temperature to 250 F and bake for about another 25-30 minutes.